You are here: Home > eCommerce Journal > Making Money on eBay, Is It Possible Without Listing or Shipping Anything? eBay is what many call the 100 pound gorilla of eCommerce. It may have been a long while since you have heard anyone repeat that phrase but it bears remembering from time to time. Just the shear vast amount of merchandise available on eBay along with the volume of sales on a daily basis is just awe inspiring. This is why many of us jumped into the eBay vortex feet first. eBay for some people is an addiction much like the gold rush of the 1890's. We have all heard or told stories about those who just packed it all up and left selling directly on eBay. Many claim it is because of the massive changes or because of the rules, or more often because of the fees. Others just face the reality of the combination of smaller margins and an increasing work load and they make a business decision to find other marketplaces. Change is growth and we all live in an ever present state of flux when it comes to the eCommerce business. 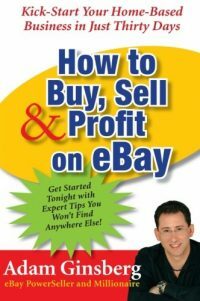 No matter if you choose to keep eBay as your home listing venue, or you move on to Amazon or Etsy or Bonanzle, eBay will always be that Gorilla in the corner of your mind... Reminding you that there are thousands of smart people making more than a living on eBay every day. In fact, some of them are making more than a living on eBay, without ever listing a single product or paying a single fee. Now, that's a concept - making money on eBay without all that hard work of sourcing, stocking, listing, photographing, handling customer service or paying the ever increasing shipping to deliver your low margin product to the consumer! The following listings are inserted for demonstration purposes. Click any of them you like, but come back and read the rest of the article <wink>. Obviously I am talking about affiliate marketing here... Some make hundreds of dollars a month with affiliate marketing, while others make millions per year. If you are an affiliate, you are familiar with eBay in a different way than most merchants. 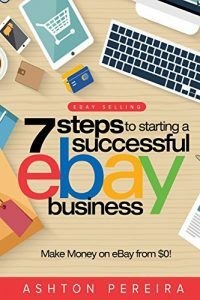 You think of eBay as an incredible money making opportunity where thousands of other people pay you a commission to advertise their products. So, how do you get in on the act? There are many ways actually and some may surprise you. Do just as I have above (Domain listings and websites) and list a few eBay items at a time within an article on a blog or a web page. 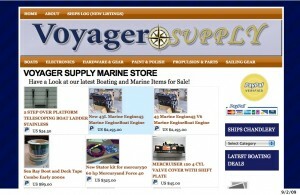 Create a website dedicated to a niche market such as Voyager Supply.com then populating it with thousands of products from eBay in addition to some affiliate advertising mixed in on the sidebars etc. 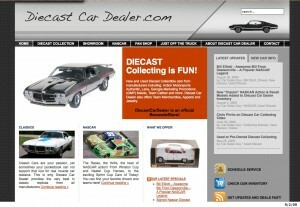 Create a hybrid site like Vintage Meld or my Diecast Car Dealer site - selling a mix of owned inventory and/or listing other products from different eCommerce venues all on one website. In the case of Vintage Meld the products come from eBay, Amazon and Bonanzle. Diecast Car Dealer advertises items from Bonanzle and from eBay. Most of Vintage Meld's product is owned by Cliff Aliperti the publisher of the site, Most of the product on Diecast Car Dealer are not owned by the website owner. In effect each of these sites uses the affiliate program in a different way but to the same purpose. Cliff uses an affiliate program to bring all of his thousands of listings together on his own website where he can talk about them in informative articles. I use the same program to offer more than my limited stock of classic diecast cars to consumers looking for choice. If they choose to buy my car, or another dealers car that I do not have but find that car through my site, I may make just as much profit as I would have by listing the car myself. I like that idea. It is a nimble and nifty way to make more than an average living on the internet. I am not saying that this form of affiliate marketing should be your only income stream but it sure does not hurt to see that you made an extra $100 over night and you do not have to worry about shipping anything. The software works on WordPress or with an upgrade, on almost any PHP based website (Joomla, Drupal, Etc.). I have been using it for over 2 years now and can tell you that the developer of PHPBay Pro is very accommodating and the script is solid as a rock. I especially like this software because even though I may have a passion for a particular niche market like, oh... say... Boating or Diecast Cars... I don't have to worry about thousands of dollars of inventory rotting in a warehouse until it sells, if it sells. I don't have to deal with the average eBay consumers wants and needs (reduced shipping - discounts for multiple items purchased, chargebacks from PayPal, etc.). All I have to do is provide more information for the consumer than the average product website does and I have to make sure that I present it is a reasonable manner which looks attractive. traffic to the products you choose to send them to (meaning either your products, or the products that will net you the best commission as an affiliate). There really is nothing wrong with that philosophy, is there now? I mean, if I can send you business, and you make the sale, and part of your fees go towards paying me for my efforts of bringing you a qualified customer, isn't that just good old fashioned business? If you would like some help in setting up and designing your own affiliate marketing website , either to promote your own products like Vintage Meld, or to sell in a category you no longer wish to compete within on eBay, or to offer associated items which compliment your core product line (the list goes on and on), just contact me here or check out my new portfolio site at Open My Site Now! By the way, I apologize for my absence... Been building too many websites... be back soon! 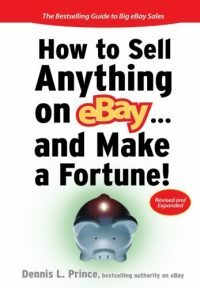 2 Responses to Making Money on eBay, Is It Possible Without Listing or Shipping Anything? eBay has a problem with open communities for some reason. But, since the post above has been broadcast to Twitter and Facebook and Friendfeed etc etc… And since I do own this URL where the actual EPN affiliate links reside, I think they may have trouble determining where the traffic actually originated. You are correct about the rule, but there is sometimes more than one way to skin a cat.